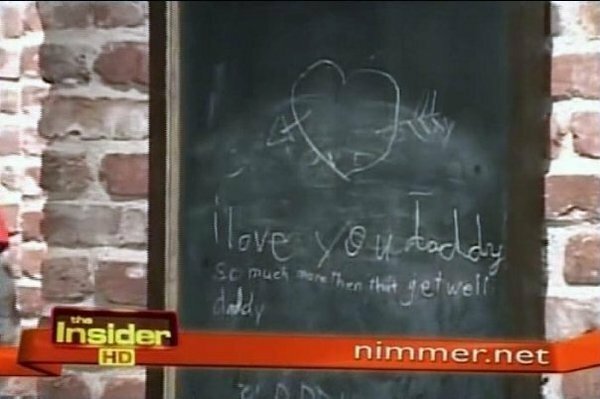 A message Paris wrote to her father at the Neverland Ranch in 2005. . Wallpaper and background images in the Paris Jackson club tagged: paris michael. soooooo cute! plus, did it say get well?, coz if it did, she is sooooooooooooooooooo caring and thoughtfull! yeah cuz remember michael was in a wheelchair and stuff in 2005! cute!!!!! I was with her when she wrote that! that is soo very sweet of paris to that!!!! i feel so sad for her! I was with her when she wrotes that . u r really bffs with paris lolz?! No you didn't! You honestly WISH you've known Paris "ever since I was born"
No I don't wish!!! I really know her!! !